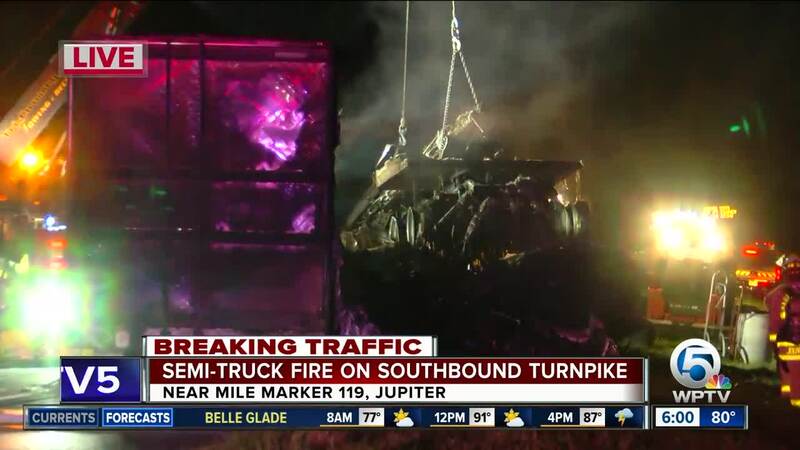 A tractor-trailer fire hampered traffic overnight on Florida's Turnpike southbound between Hobe Sound and Jupiter. The fire was reported around 2 a.m. Thursday, blocking one lane for about five hours. 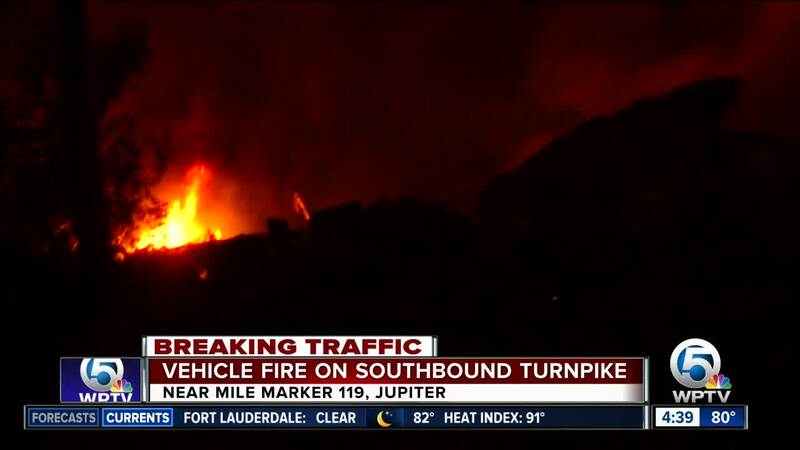 A driver and passenger in the semi said the fire occurred while they were heading to Delray Beach, and they quickly pulled to the side of the road. Neither of them were hurt. 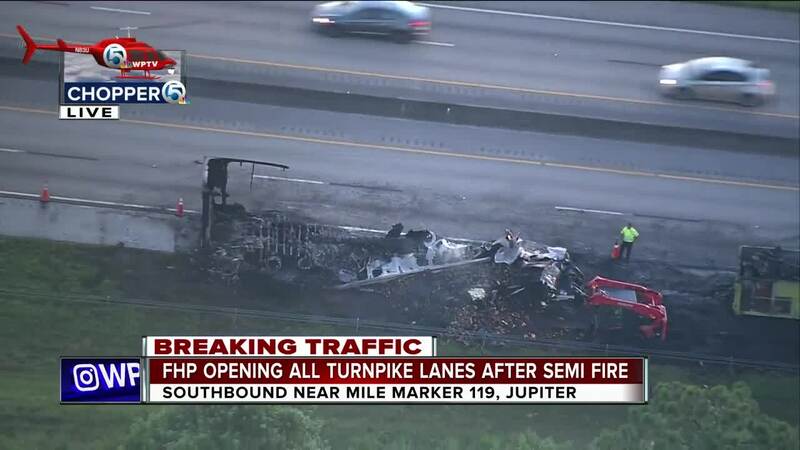 The Florida Highway Patrol said the semi was hauling produce, which spilled onto the interstate. Aerial footage from Chopper 5 showed the entire semi was destroyed by the blaze. The fire was extinguished around 5:45 a.m. All lanes were back open by 7 a.m.